Buy jewelry wholesale and stock up your c-store inventory. 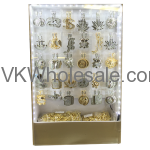 We carry good quality jewelry displays for c-store counter display to drive more sell and profit. 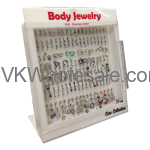 Check out our current available jewelry displays wholesale to see if that fits on your convenience store counter top. We are one of the jewelry wholesaler in Chicago to serve your needs. Minimum quantity for "Austrian Crystal Pendant Necklace Display 8 PC" is 1. 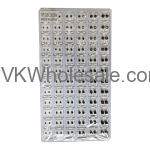 Minimum quantity for "Belly Dangling Body Jewelry Refill Tray 54 PC" is 1. Minimum quantity for "Body Jewelry 162 CT" is 1. Minimum quantity for "Cubic Stud Jewelry - 96 Earring Pairs" is 1. 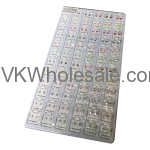 Minimum quantity for "Cubic Zirconia Stud Earrings Assorted Color Round & Square Mix Jewelry Refill Tray 72 PC" is 1. 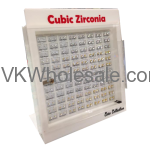 Minimum quantity for "Cubic Zirconia Stud Earrings Black Round & Square Mix Jewelry Refill Tray 72 PC" is 1. 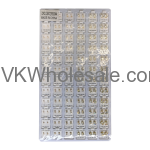 Minimum quantity for "Cubic Zirconia Stud Earrings Gold Round & Square Mix Jewelry Refill Tray 72 PC" is 1. 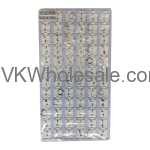 Minimum quantity for "Cubic Zirconia Stud Earrings Silver Round & Square Mix Jewelry Refill Tray 72 PC" is 1. 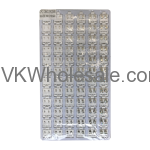 Minimum quantity for "Eye Piercing Body Jewelry Refill Tray 72 PC" is 1. 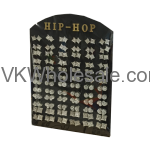 Minimum quantity for "Hip Hop Earring Set Display 72 Set" is 1. 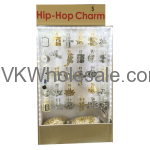 Minimum quantity for "Hip Hop Necklace Set LED Display 60 PC" is 1. Minimum quantity for "Hip Hop Necklace Set without Religious Design with LED Display 60 PC" is 1.